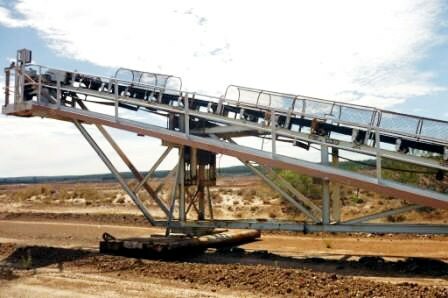 Skid mounted Stacker Conveyor. Belt 750mm Wide x 18m conveyor centres. Drive is 45kW. ex Mineral Sands industry.